Injustice 2, the new entry in the series created by NetherRealm Studios, is launching in a few months on consoles in all regions, and it’s about time we start learning more about some of the game’s features. Today, a brand new trailer has been released, focusing on one of the most interesting features of the game: the story mode. Today’s new Injustice 2 trailer, called The Lines Are Redrawn, shows the aftermath of the first game and teases some new allegiances, with former allies like Batman and Robin having to stand against one another in the new game. You can check out the trailer right below. Earlier this month, it’s been confirmed that Injustice 2 will release on PlayStation 4 and Xbox One in all regions on May 16th. The new fighting game by the team behind the Mortal Kombat series will come with new characters as well as a loot system which promises to shake up the experience considerably. This is possibly the biggest change of this sequel. 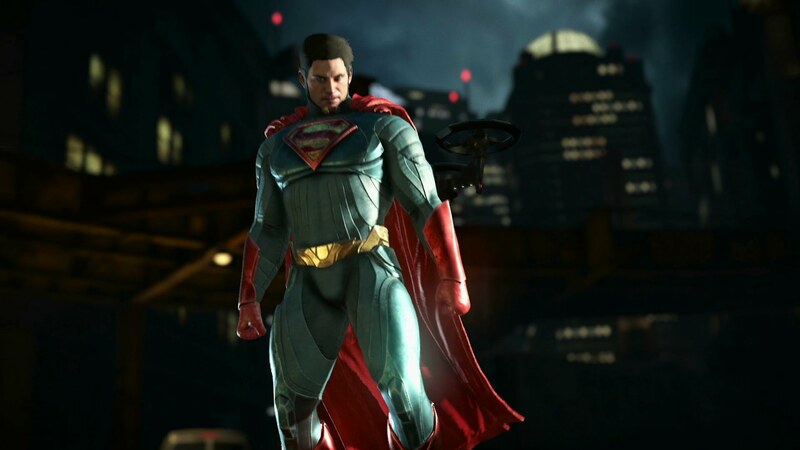 NetherRealm decided to introduce a loot system which provides players with both cosmetic and functional equipment rewards after their matches, the idea being that each player will then be able to customize a character like Batman or Superman to make it truly unique in both aesthetics and skill set. According to NetherRealm there should be over a thousand options for each character in each category like chest, legs, arms and cape; of course, there will be a matchmaking filter for those who are only interested in playing with the non-geared version of characters.